YES. It doesn’t matter who you are, where you come from, what job you do, what shape you are, how strong you are, if you are fit or “old” – YOU CAN learn Krav Maga. “Am I fit enough?” – You don’t need to be fit to join our self-defence classes. There is no minimum fitness level. If you needed to be fit to join, it would mean we were not very good at our jobs wouldn’t it. It is us that help you to reach your fitness goal – even if you don’t have a goal in mind you just want to be a little fitter (so you’re not puffing and panting as you jog after your 3 year old – yep, I’ve been there). Our student, John, lost 2 stone in 6 weeks, he didn’t even know he had 2 stone to loose, and that’s the great thing about our Krav Maga classes, you are so busy learning the techniques and having fun you don’t notice the calories you are burning and the ultimate cardio workout you are getting! ALL YOU NEED TO DO IS TURN UP and TRY. “I am too old.” – No, no you are not. We get people of 40 asking us if they are too old to join the class, you are not old you are a spring chicken in comparison to some of the ladies and gentlemen we’ve had in our classes. Our Krav Maga student, Trevor, aged 75 punches his way through the class no problem. We have had ladies of 80+ take on the Chief Instructor! “I don’t have the confidence to attend a class.” – We do not bite, promise. Our Instructors are highly qualified, experienced professionals, friendly and welcoming. 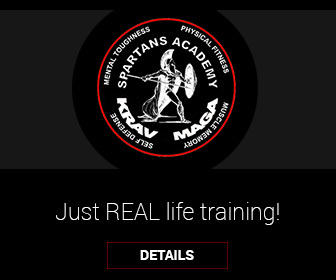 At Spartans Academy we have dealt with so many different situations and trained people from all walks of life, we can guarantee whatever it is that you have been through, whatever it is that is knocking your confidence, there is someone else attending our Krav Maga classes that has been there too and that is suffering that loss in confidence like you. Again, we are here for you, we will help you to rebuild your confidence. You will come back stronger. Our student, Jamie, suffered horrific bullying at school, thanks to our self-defence classes Jamie’s confidence and self-esteem is on the mend. Brenda, another of our students, a survivor of domestic violence, attended our classes in order to rebuild her confidence and be able move on with her life. It wasn’t easy, some of the self-defence techniques brought back dreadful memories (the body never forgets the abuse it has suffered but the mind can be taught to overcome it) which made Brenda cry but she didn’t give up, she didn’t leave the class and we are so proud of the woman she is today. 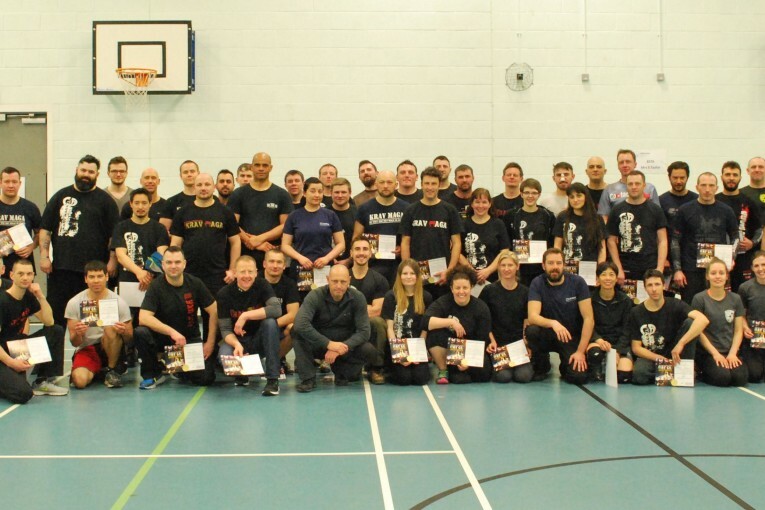 The support we see students giving to their fellow class mates is absolutely amazing and as cheesy as it may sound you don’t just make friends, you become part of a family – a Krav Maga family. Dave got attacked while on his way home from his 2 hour free Krav Maga trial, he was able to use what he’d learnt during that 2 hour class to defend himself. Dave made it home with only a few cuts and bruises. Timothy was just minding his own business on a night out with his wife until someone punched him in the face. You may get a hit once, but with our Krav Maga training it’s unlikely you’ll get hit again. Adam tried his best to avoid the situation but some attackers with a little alcohol in their system just don’t want to drop it. Adam, defused the situation (Conflict Management is taught in our Krav Maga classes), took his friends and left the pub but he was followed and forced to defend himself… continue reading here. 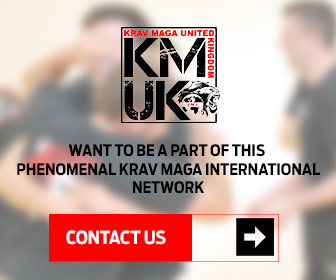 Whoever you are, whatever you have been through, whether you are unfit, out of shape, or need to lose weight, if you just want to learn something new, or fancy something to do on a Monday, Tuesday, Wednesday, or Thursday, come and try Krav Maga Self-Defence for FREE and BE THE BEST YOU CAN BE. Please note, names and identifying details have been changed to protect the privacy of the individuals who train at our Academy.